Also called meutsubari めうつ梁. 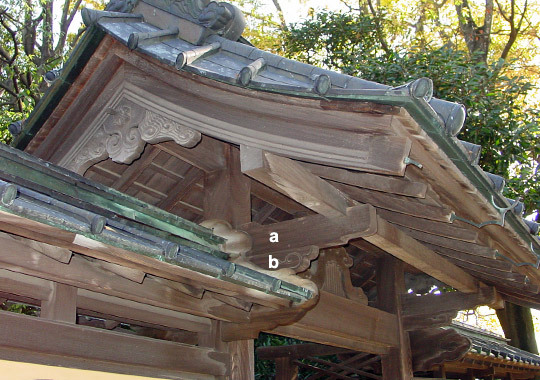 The lower and shorter of two transverse members at right angles to the lintel *kabuki 冠木, of various gates, including *kabukimon 冠木門, *shikyakumon 四脚門, and *roumon 楼門. It may be shaped like a bracket arm *hijiki 肘木. 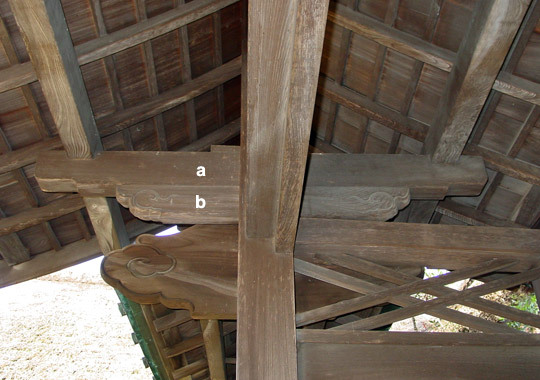 The longer and upper transverse beam is sometimes called *obari 男梁 or outsubari おうつ梁.